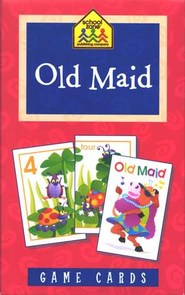 Make memories with the classic card game "Old Maid"! Fun and educational, it teaches children numbers 1-12 as they match numbers to number words to complete fun phrases. The included parent card contains additional activities and games. 55 game cards, 1 parent card. Ages 4 & up.